Spark a love of poetry and language with this classroom treasury of poems. It includes time-tested classics by poets such as Walt Whitman, Carl Sandburg, Elinor Wylie, and Emily Dickinson, plus new poems sure to become classroom favourites. 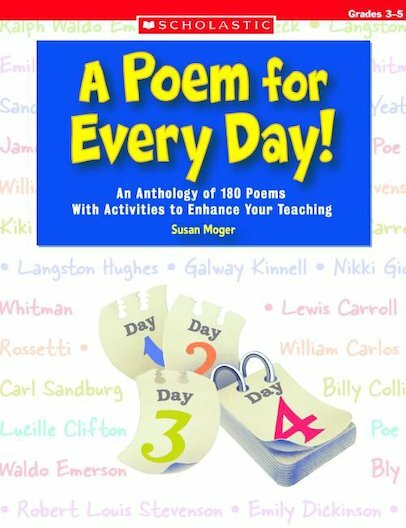 The poems are perfect for teaching poetic forms such as haiku, cinquain, and free verse, as well as figurative language such as metaphor, alliteration, similes, and more. Also includes teaching tips and activities. A resource you’ll turn to again and again.